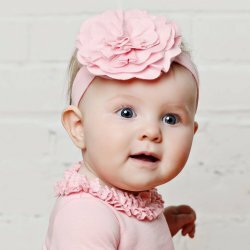 This "Grace" dress in rose shadow pink by Lemon Loves Layette is made of 100% cotton that is so soft against baby's skin. The subtle difference between this adorable Grace dress and the precious "Jada" dress is the ruffle accentuating the cross over front. 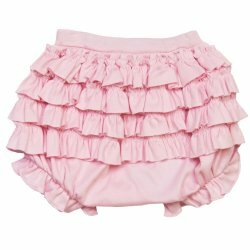 Skirt features cascades of layers of sweet ruffles. 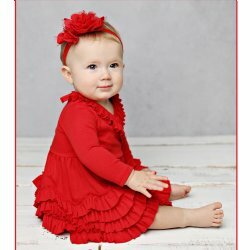 What a great dress that she will love to wear! This beautiful pastel pink color is just perfect for any occasion. 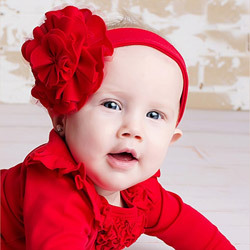 Consider adding the Rose headband for a fabulous outfit. 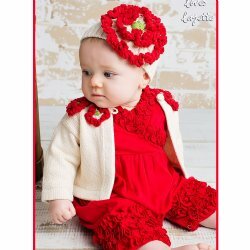 Pair with the Bonnie Bloomers diaper cover to complete her look and daintily cover that diaper!